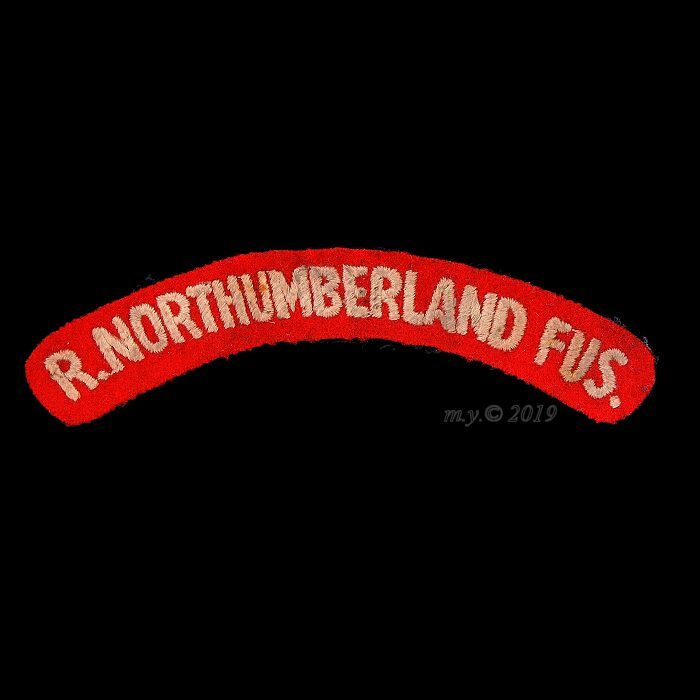 Royal Northumberland Fusiliers Cloth Shoulder Title. 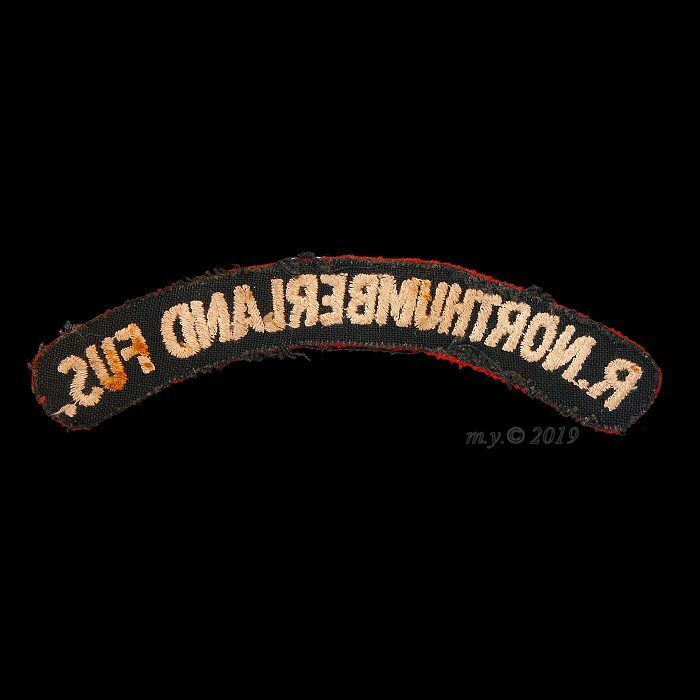 Similar to the officer’s pattern (but shorter, and with rounded ends) illustrated in Wood, D. ‘The Fifth Fusiliers and its Badges’ illustration 657. That example is recorded as 1945-47.